Iron-on labels make ideal additions to clothing items and handmade gifts. Use iron-on labels to put your child's name in her clothing, or to make a gift tag or label for any gifts you make for friends and family. If you have a computer, a printer and an iron you can make your own labels at home for a low cost. Create a document in your computer's word processing program. Type the name you want for your labels in any font you like, and copy it in several columns onto a standard-sized document (8.5 by 11 inches). Print this on regular paper to see if it comes out the right size for you; you should be able to cut out each individual name easily. Insert iron-on transfer printable fabric into your printer. You can find this fabric in the craft department at mass retail stores for around $5 or $6 per package, giving you several sheets in one fabric. One sheet will make several iron-on name labels. Print your document full of name labels onto this fabric, and let it dry for a few minutes. Use scissors to cut apart the individual name labels. Store them where you won't lose them, so you can use them in the future. Remove the protective backing from one name label, position it on the clothing item and place the iron-on transfer overlay paper on top. 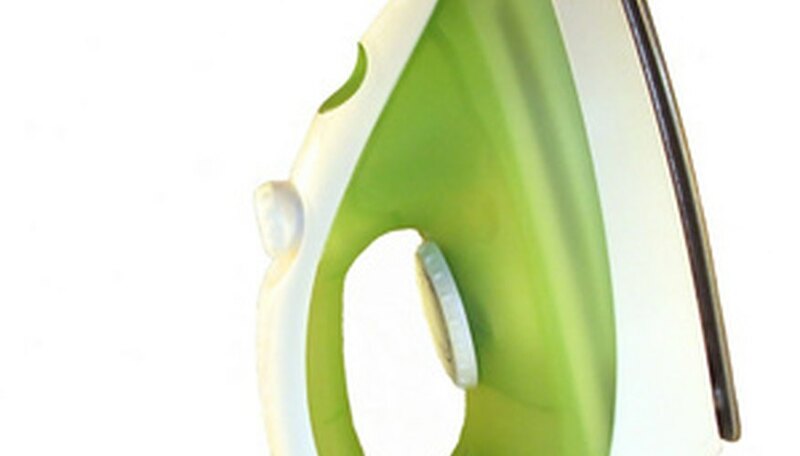 Iron the label according to the package directions, or until it securely adheres to the fabric of the clothing item. Make sure to continuously move the iron to evenly distribute the heat, and always use the overlay paper to avoid damaging your iron and the label. Once your labels are in position and have cooled, they will stay on the fabric where you put them. You can machine wash and dry the fabric with your name label securely in place.